This book takes healing to the radical limits, full of fascinating anecdotes, strange case histories and practical development exercises. It tells the story of the Vietnam vet, a hero who needed time to heal; Jaime who slept and suffered in the “cancer bed” that killed her parents; a man suffering back pains with no concept of past lives is healed by Jesus in Jerusalem. There’s the intriguing story of how spirit led the reluctant author on a mysterious mission to help eight earthbound spirits in New Mexico. “Insights” is a book for all healers, regular Spiritualist healers to certified and professional healers. 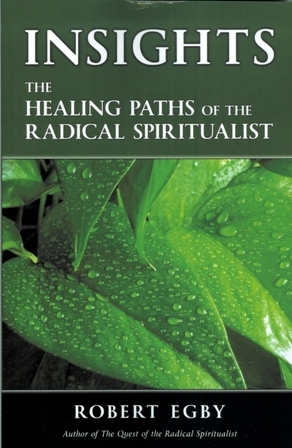 It’s also for armchair folk wanting to know what radical healing is all about. It’s a colorful, sometimes dramatic, sometimes an emotional walk through the realm of opportunities for healing, most of it written through personal knowledge. 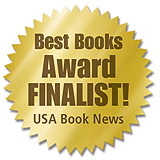 In its 244 pages, the book covers hands-on healing, therapeutic touch, imaging and suggestion therapy, the healing aspects of past lives, dowsing and geopathic zones, the power of Prana and the power of sound, colors and, spirit healing guides and angels, and the ultimate healing, spirit rescue. Robert also discusses the healing aspects of helping people die, and the mysteries of the Audible Sound Stream also known as the Voice of God. The author is an accredited hypnoanalyst, certified sound healer, dowser, ordained minister, mystic and teacher of Spiritualism. In his earlier books “Cracking the Glass Darkly” and the award-winning “The Quest of the Radical Spiritualist” the author urges all healers to “dissolve” the negative ego, the False Self to ensure positive and untainted adventures in healing. Buy Now from AMAZON in the U.S. or U.K. AUTHOR SIGNED BOOKS: Each of Robert's books are available signed by ordering through Paypal. In the instructions explain who you wish the book or books signed for. Each book is $12.99 with FREE shipping. Most orders are mailed the same day as they are received. Thanks.